Eleven Israeli athletes and coaches murdered at the 1972 Olympics were honoured in Rio today in the most significant tribute yet by the International Olympic Committee at a summer Games. 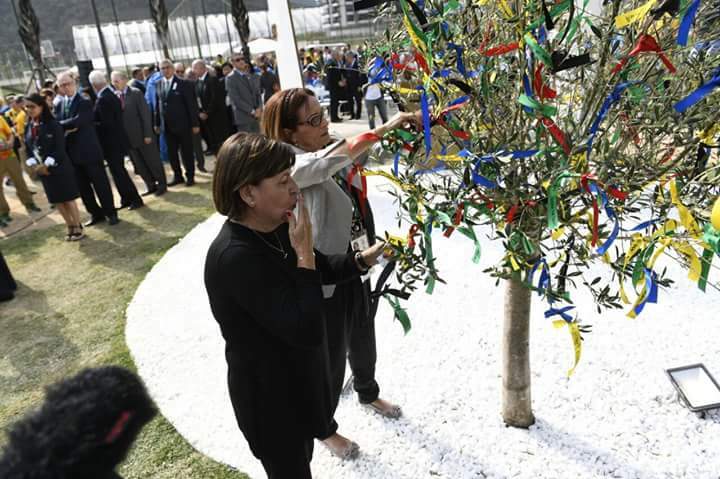 IOC chief Thomas Bach led a ceremony attended by the families of the victims and current sports stars and heads of national delegations at the heart of the Olympic village. It came three months after Jewish News revealed details of the commemoration for the darkest moment in the history of the Games, following a meeting between two of the widows and Bach himself. Bach – who read out the names of the eleven Israelis – told the fathering: “We commemorate them because this was an attack not only on our fellow Olympians, but also an assault on the values that the Olympic Village stands for. It was an attack on the universal power of sport to unite all of humanity in peace and solidarity. “The Olympic Games are always an affirmation of life so let our commemoration today also be an affirmation of their lives. Through this act of remembrance, the spirit of those who have departed continues to live on.” The event also remembered other athletes and officials who have died at Olympic Games over the years. 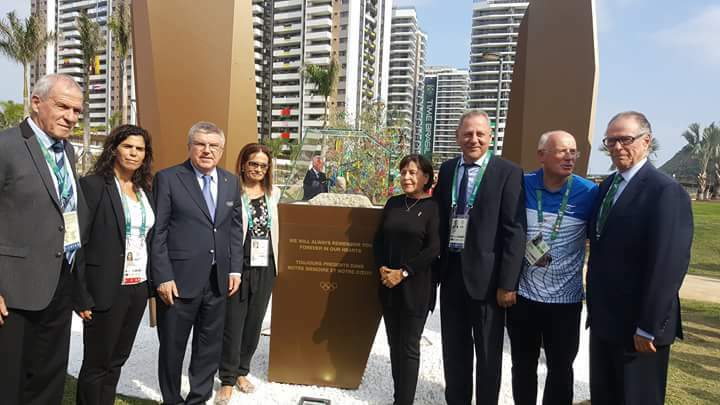 The event marked the inauguration of a mourning area set up in the Village for the duration of the Games for individuals and national delegations to those who have been lost – the centerpiece of which is a stone brought from Olympia placed on top of a memorial slab. 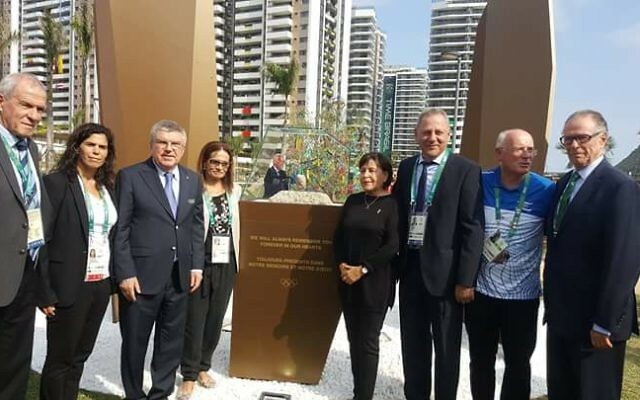 Ankie Spitzer – whose fencer husband Andre was among those murdered by Palestinian terrorist from the Black September group – told the Jewish News it was an “historic step that the IOC have taken responsibility to organise this event inside the Olympic Village”. She has spent decades campaigning for a minute’s silence for the athletes at the Olympic opening ceremony. A petition ahead of the London Olympics gained tens of thousands of supporters. A minute’s silence was held for Munich during the signing of the Olympic Truce four years ago, but the families said they did not receive invites. A “moment of reflection” will be held during the closing ceremony in Rio to enable participants and viewers to remember loved ones – and the Munich families have urged the IOC to explicitly mention the names of the 1972 victims in that segment in front of a worldwide audience of billions.